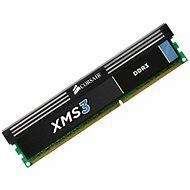 This powerful memory module from CORSAIR is well suited to powerful desktop computers. 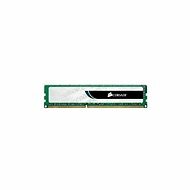 The DDR3 memory module has a capacity of 4GB and a 1333MHz operating frequency at which it is able to achieve excellent timing CL9-9-9-24. Unlike previous DDR1 and DDR2 memories, it offers a higher frequency and lower power consumption. The modules are like DDR2 240-pin, but to prevent their misuse, the key (or notch) is located elsewhere. For shipping to other EU countries visit this page Corsair 4GB DDR3 1333MHz CL9. Für Versand nach Deutschland, besuchen Sie bitte Corsair 4 GB DDR3 1333MHz CL9. Chcete doručit zboží do Česka? Prohlédněte si Corsair 4GB DDR3 1333MHz CL9. Chcete doručiť tovar na Slovensko? 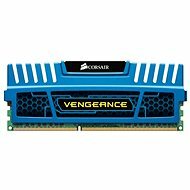 Prezrite si Corsair 4 GB DDR3 1333 MHz CL9. Für Versand nach Österreich, besuchen Sie bitte Corsair 4 GB DDR3 1333MHz CL9. Magyarországra történő kiszállításért tekintse meg ezt a termékoldalt: Corsair 4GB DDR3 1333MHz CL9.